The eazi chair standard provides the comfort and reliability of a powerchair and electric wheelchair in one simple package. Price excluding VAT.(Incl. VAT £2,634) *VAT Relief available on this product. 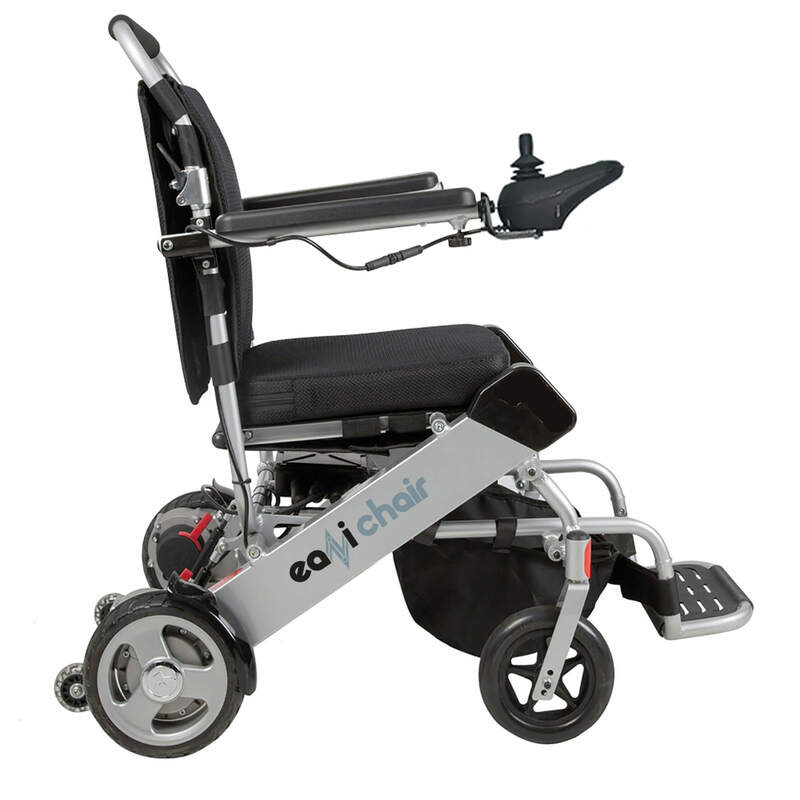 The eazi chair standard provides the comfort and reliability of a powerchair and electric wheelchair in one simple package. 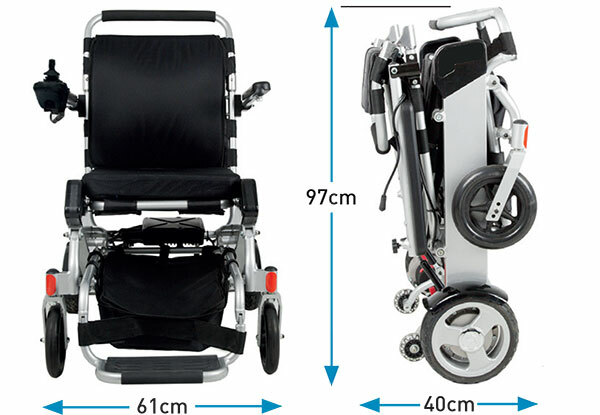 With the chair weighing an amazing 20.5 kg, it may well be the lightest powerchair in the world! A total travel distance of up to 24 miles is made possible by the 2 x Li-on batteries which slide discreetly and easily into the support bars on the side of the frame. Another unique feature of the eazi chair standard is that it can be folded down to just 97 cm height x 40 cm depth x 60 cm length. It’s very simple, just pull the lever at the back and the eazi chair standard folds into itself in under 10 seconds and is ready to put in almost any car boot or small storage space. 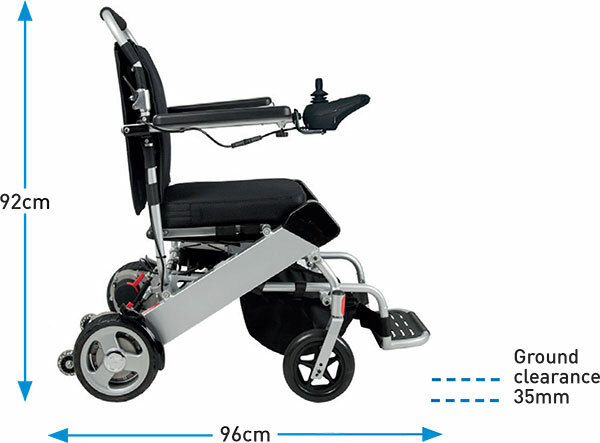 The two 180W motors will help you navigate an incline of up to 12 degrees, while the anti-tip wheels provide that extra stability and peace of mind. The joystick control can be fitted to either side of the powerchair and has 360 degrees turning capability which can be controlled using only a thumb or finger. The eazi chair standard has a tight turning radius of 800mm [31 inches], making it perfect to use at the shops or on days out with family and friends. 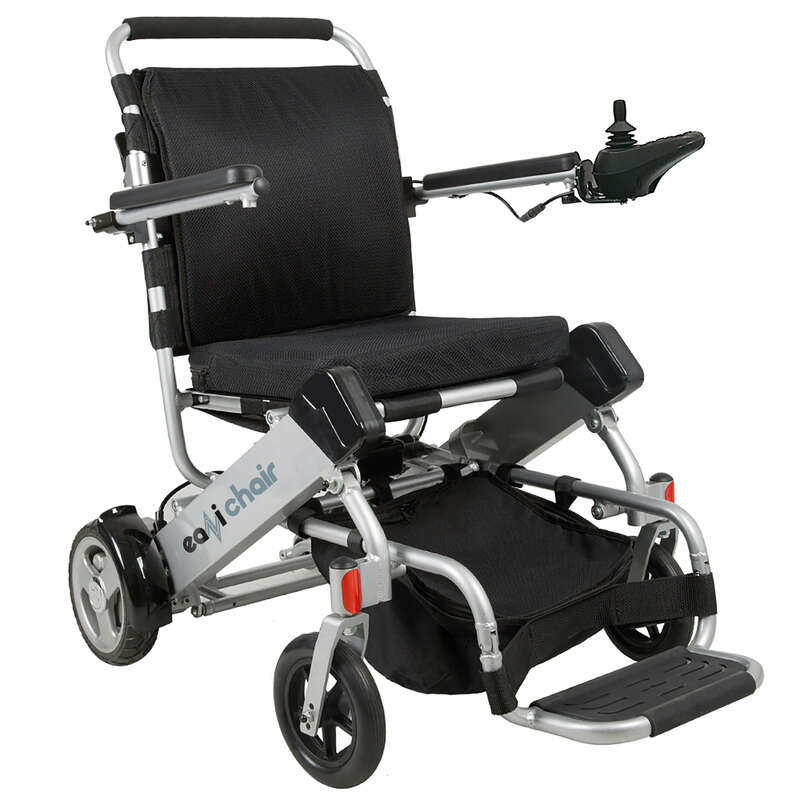 It would be an excellent choice for those who are looking for a portable powerchair which offers unrivalled manoeuvrability and comfort.